So who is following through with their New Year's resolution? 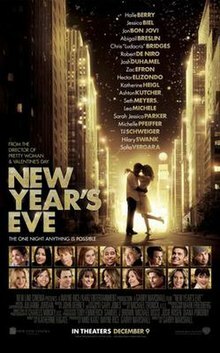 Warner Bros. Pictures is proud to announce the release of the hit romantic comedy New Year’s Eve on DVD and Blu Ray May 1st! This is an all star comedy starring Ashton Kutcher, Michelle Pfeiffer, Katherine Heigl, Sofia Vergara, Hilary Swank, Sarah Jessica Parker, Zac Efron, Jon Bon Jovi, and Josh Duhamel! (1) lucky reader will win a copy of the New Year's Eve DVD, simply enter to win through the rafflecopter form below. Contest ends May 11th at 11:59pm EST. I got..my intentions were good. I am a Resolution Renegade! I also got that my intentions were good. According to the quiz results, "my intentions were good"
I got .....my intentions were good. Well my intentions were good.